Many serious computer users ask me: Should I build a computer myself? Well, I say yes, it’s like Lego for adults. If you want a machine for a particular demanding task or set of tasks, say for video or music rendering and editing, security serveillance etc, where you will be needing a computer to work at peak performance, you better put things down on a list; see what brands and models fit best to do your job, scrutinize compatibility issues and buy the pieces one by one. Let me tell you how I built my own for video editing purposes, very demanding stuff indeed. I used a Pinnacle discount coupon to buy the software which I now use quite a lot and I needed a good computer to do all the editing. Let me start with the heart of the computer: the processor. I went for and Intel i7 ($569), and to be precise it’s the Intel i7 – 3930K. It’s unlocked, has 6 cores and runs in 3.2GHz. A 6-core processor with hyperthreading is going to act like a 12-core! The reason I chose that one is that it has a really good value for money when you compare it to the really top and Intel processors have like 32 cores in them and I checked their performance compared to the i7 but their price is over $2,000. The next item is the motherboard. I chose the ASUS P9 X79 PRO. It’s true that my processor was very limited on how many different motheboard models was compatible with. It’s got 6Gb/s and 3Gb/s eSATA support, 6 ports of USB 3.0 – this is ten times faster than the 2.0 which takes plug & play into a whole new level; this is very helpful for when I am transferring huge files from external disks or flashes – Bluetooth, crystal clear sound powered by DTS Connect, and a whole batch of new features I had not used before. Next stop is the memory. I went for the Corsair Vengeance which has 32Gb of RAM, is DD3 type at 1600MHz and consists of 4 separate pieces of 8Gb each. Basically, I was looking at newegg.com for the qualified RAM for that particular motherboard I got, and I was really confused on how those part numbers related to the part numbers on the tables. So, I read hundreds of user comments for every product there, and there was that person saying that ther RAM didn’t work for the motherboard. 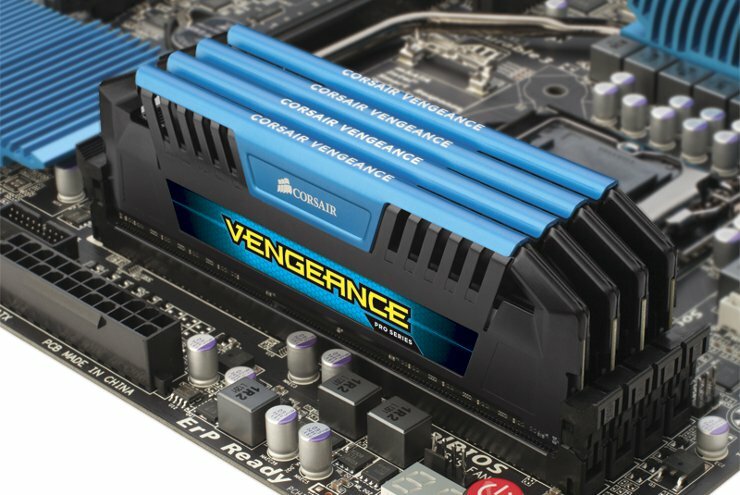 So, I kind of cheated a little bit and I went through the comments and several people had used this Corsair Vengeance RAM successfully. I had to read lots of comments regarding the EVGA GeForce GTX 680 FTW ($599) which comes with 4Gb RAM in 256-bit GDDR5 and it’s in FTW. There was a batch of other options as well in Nvidia, the 2000 and 4000 Quadro series which are supposed to be designed for this type of graphics work. But if you got to this benchmark site for premier Pro, and you look at the top 80 cards, of the comparisons, over a thousand users submitted their test to it, this particular card is always on top. The first one of the Quadra series to appear on the list, the 4000, ranks number 80. 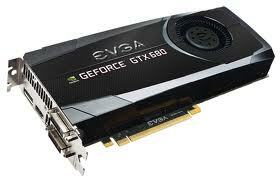 So, the EVGA I chose from all the cards I tested did excellent. With all the above monsters, I would definitely need something to cool them down since I was planning to overclock my i7 processor. I went with the Corsair H100i. 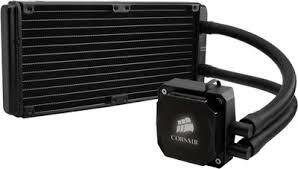 It’s really a good cooler and with it I also got 2 fans. They are super quiet and keep the system really cool although I work for hours pushing the system to its limits. 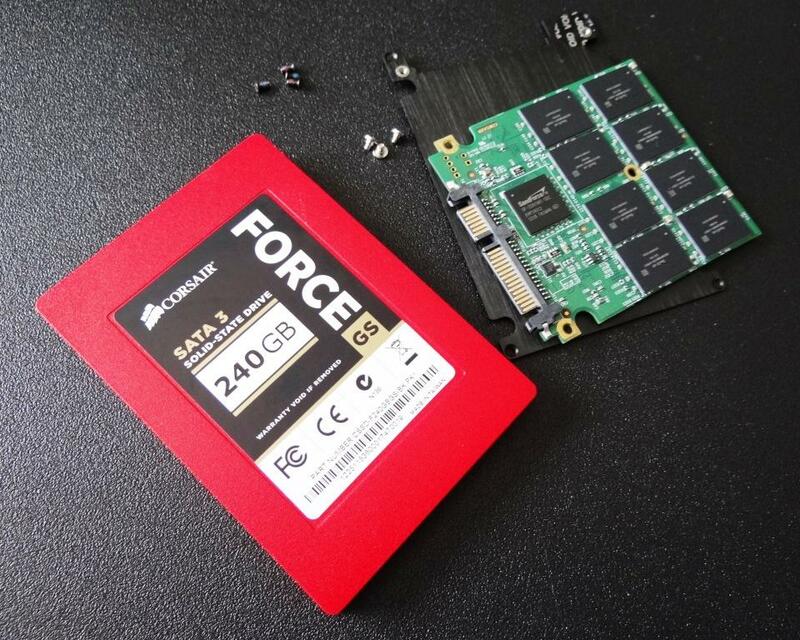 For my main hard drive, that is the one I install the OS and software in, I picked the Corsair Force GT SATA 3, SSD type with 240Gbs. This is perfect for my Mac Operating Systems and programs like DaVinci Resolve Lite, Premier Pro, Pinnacle Studio and After Effects. Of course, I am using a bunch of other, older hard drives, some having a Terabyte inside, to store my files. I installed Windows Professional 7 because I would be able to access all the 32Ghz up to 64GHz of the processor. I got the Kingston media reader, for which I read some really good reviews. It’s a USB3 and I can transfer my documents quite quickly now, especially compared to my old one. So, off loading my media is a lot faster. 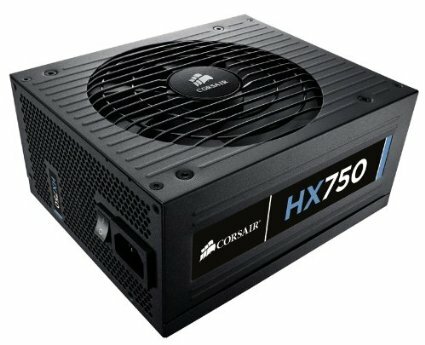 For my power I got the Corsair HX750. Now, many of you will say, I should have got a 1000Watts. Well, I’ve done the calculations for this particular bild and it came out at about 450Watts with 1 graphics card. Premier pro doesn’t take advantages of two graphics cards, so if I were to add a second card that would add more draw to the power, I decided to go with this option which even if I add a second one and a tone more drives, I would still be under 750 Watts. I am not sure why every body says I need to get like a thousand watts power supply. Well, all the above should have a place to reside, right? 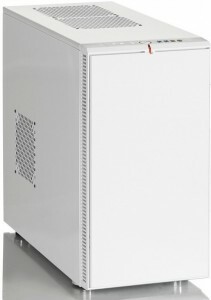 I picked the Fractal Design Define R4, Arctic White ($110) which was recommended by many guys online. It works really quiet and it’s nice and sleek with excellent noise dampening on both side panels. This entry was posted in Photo Editing on March 6, 2014 by Stephen Dinos. Have you ever wandered if you could make a DVD out of your personal selection of videos? A DVD with all your favorite videos or family moments, holidays, graduation or other ceremonies, your brother’s bachelor party or your sister’s wedding and other special moments? How about a DVD with your personalized menu, chapters and your own music? Well, now you don’t have to order a specialist to do that for your, because with Wondershare DVD Creator all the above are doable in a matter of minutes and with a few easy clicks. Wondershare is a software manufacturer which specializes in photo and video editing. Its DVD Creator is a great success because it revolutionized film editing and burning. It’s priced $45.95, but with the Wondershare Promo Code you can have a 40% discount. Now let’s see how it works. 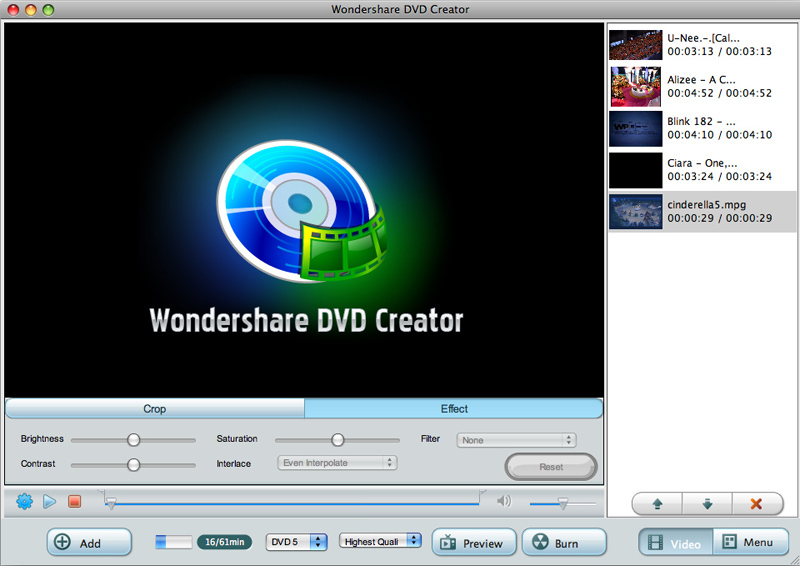 DVD Creator by Wondershare is really very easy to use, really basic to the point. The first thing you do is import the file and then it’s going to take you to a couple of steps before you make the menu and burn your disk. So, first step is to click Import button at the left column and bring in as many files as you want and then click Open. step 2: Click Menu button to customize the menu for the DVD. You can change fonts and size of the titles, background color and images or choose entire templates that are ready for you. The software has many different templates with their own fonts, titles, background etc. and of course you can click on Download in the up right corner to import more of those templates from wondershare library. After you design the Menu to appear exactly how you would like it you can click on “Customize Background Music” button at the bottom of the player to import a song you want to play when the user is at the Menu of your DVD. You can now preview the video. If you like the way it is click the Burn button above, tick “burn to disk” in the new dialog box, choose your burner and then click Burn. Once you click that button, your DVD is going to be ready to play at your DVD player in just a few minutes. 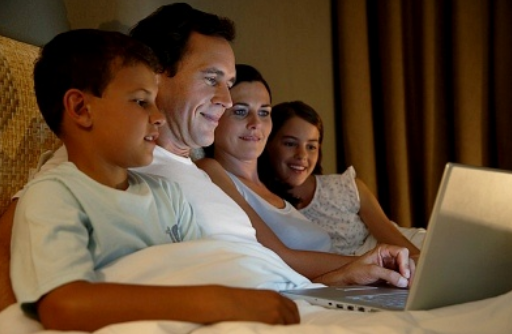 That’s it you can now create your own DVD and give a nice personalized gift to a loved one. This entry was posted in Photo Editing on February 27, 2014 by Stephen Dinos. Wondershare offers various movie editing software like the Video Editor, the DVD Creator, YouTube Downloader, the Streaming Audio Recorder, Video Converter, Player. You can also find several photo editing tools like the Fantashow, the DVD Slideshow Builder and more. All the above software come for both Windows and Mac. 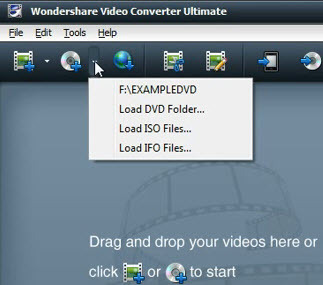 Suppose you have used a Wondershare discount coupon to buy the video converter ultimate. Today, I am going to talk about this amazing software, I think it’s Wondershare’s most renown program and I will give you a quick rundown on how it can help you convert a DVD video file into basically any video format you want. Insert the DVD in your player and browse in the software to find the video you want as shown in the image. Select the file to be ripped and then you have a huge selection of different video formats to choose from. 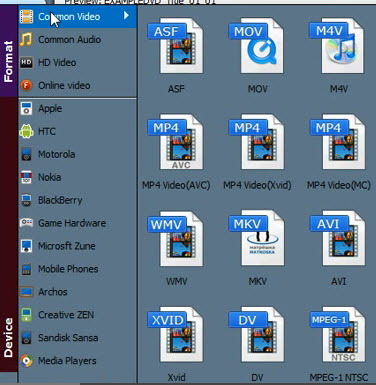 For example, you can select different versions of mp4, WMV, AVI, MOV, Xvid, all the MPEG formats and much more. Apart from that you can select any of those presets given there which apply to different phone operation systems like Apple, HTC, Nokia, as well as manufacturers like Sandisk Sansa, which will select the best format, the best aspect ratio and audio that it think you can use for that particular device. 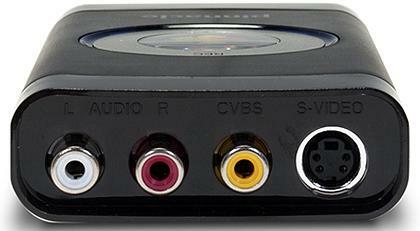 Let’s say you want to convert your DVD movie to a format readable by an HTC smarphone. Click the HTC icon on the list which will give you a wide selection of all HTC models. 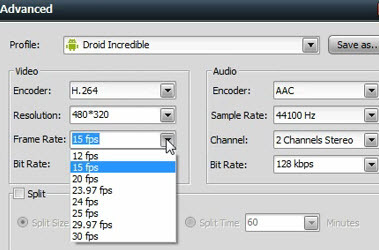 After picking your phone model click the advanced settings to see more options for video and audio, like their encoder, resolution, frame and bit rates and channel type. You are now ready to start ripping by clicking on the Start button and the right bottom. However, if you need more special changes, say you want to crop a part of the video or trim its ratio you can do it very easily by clicking the clip video and edit video icons respectively. When the converting finishes it will appear in a subfolder in the My Documents, called wondershare video converter ultimate and you can then just drag and drop that file on your HTC device or use whatever application you want. It’s a great piece of software which I highly recommend. This entry was posted in Photo Editing on February 24, 2014 by Stephen Dinos. Here’s a tutorial of how to use the Pinnacle Video Transfer if you want to convert your old video tapes to a digital format without using a computer and store them in your hard drive or DVDs. First you have to plug the right cables in the one side of the transfer device as shown in the image. There are two types of connection: the Composite Connection and the S Video Connection. In both ways the white cable goes to Audio Left and the red cable to Audio Right. However, in the Composite type you are going to be using an orange cable for the corresponding video jack, whereas in the S Video connection you will use the black cable and insert it into the S-Video jack. Scart adaptor which connects the Pinnacle Video Transfer to our VHS. Here, the S Video is used. 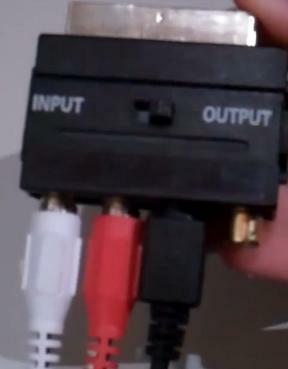 Now, you have to connect the VHS to the pinnacle video transfer (PVT) device through a scart adapter. Insert the cables the same way as you did to the device explained above. 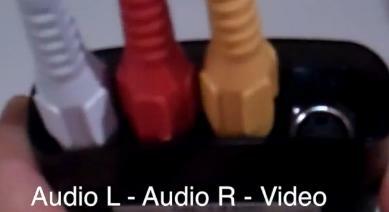 Note that you will use either composite way (orange cable) or S Video (black); not both. You will either have the one or the other. Set the switch to the output and insert the scart in the back of the VHS. Finally, you connect the Pinnacle Video Transfer to power as well as a USB or a hard drive and your turn it on. There three quality options you can choose from, indicated by three led lights. One is good, two is best and three means best. Turn on also your VHS player and pop in a tape. You now press the play button on your VHS and now you’re ready to tap Record on your transfer device. The blue lights turn to red and the process is on the way. After the recording is complete, wait for a few moments for the device to finalize the video in the memory stick or the hard drive. Once the red light turns back into blue you are ready to remove your storage unit. That’s it. Your video is now in a digital format (MP4). Pinnacle has a long line of products, software and hardware which are used both by amateurs and professional video editors. The Pinnacle software and Intel processors are very compatible. This entry was posted in Photo Editing on February 13, 2014 by Stephen Dinos. These days, there is a really digital lenses explosion and all consumers are actually capturing media in their digital form. More and more this digital content is turning into high resolution. Is Pinnacle Studio 17 compatible with Intel Core i7? The i7 processor by Intel Core helps do HD editing very well compared to others. It´s now becoming possible for mainstream consumers to use configurations based for instance on the core i7 that are going to decouple their power and get them to focus on the creative thing instead of having to wait for the processes to complete. A video editor might need to have 4 windows flying around their screen which are all high definition scaled windows with maybe an effect on them. To do that in a rendered environment is a long laborious task. With the Core i7 the editors can do that stuff fast. 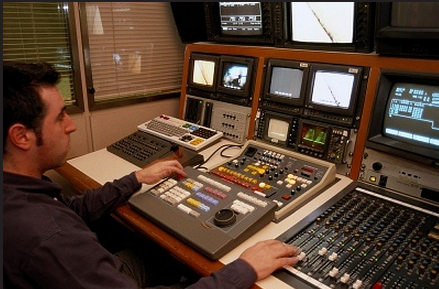 Pinnacle has been creating hardware and software, related to video recording and editing. Since, the majority of these products are intended to professionals, are quite expensive. You can redeem our Pinnacle System coupons and save from your orders.